This page discusses our product, DolfinPack. The extreme sports hydration pack. Learn more below. Introducing DolfinPack. Lightweight, minimalistic hydration pack. DolfinPack was the first and only (currently) physical deliverable product that we've taken on. DolfinPack was a collaboration between the owner of Bold City Agency and a his co-founder. DolfinPack has been a tremendous success and has given Bold City a lot of insight into how we help our e-commerce customers. Not only do we understand the design, development, and marketing aspects of a physical product company but we also have insight into shipping, payment processing, product manufacturing, importing, and everything that goes along with starting a new e-commerce business. This includes significant marketing experience with Amazon, Walmart, The Grommet, and other major e-commerce distributors where DolfinPack has been sold. Interested in learning more about DolfinPack? 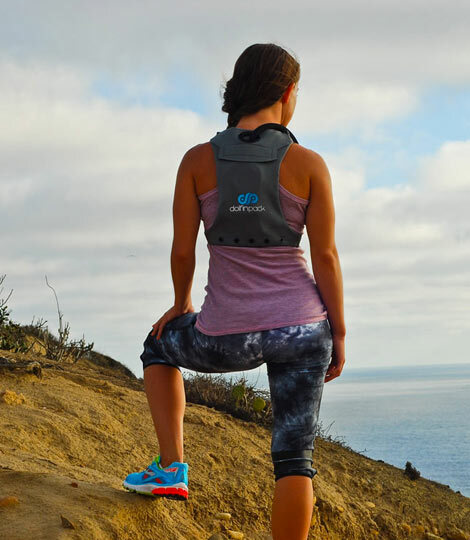 Checkout the website and purchase your very own hydration pack! Use the coupon code 'TAKE15OFF' to get 15% off your order!